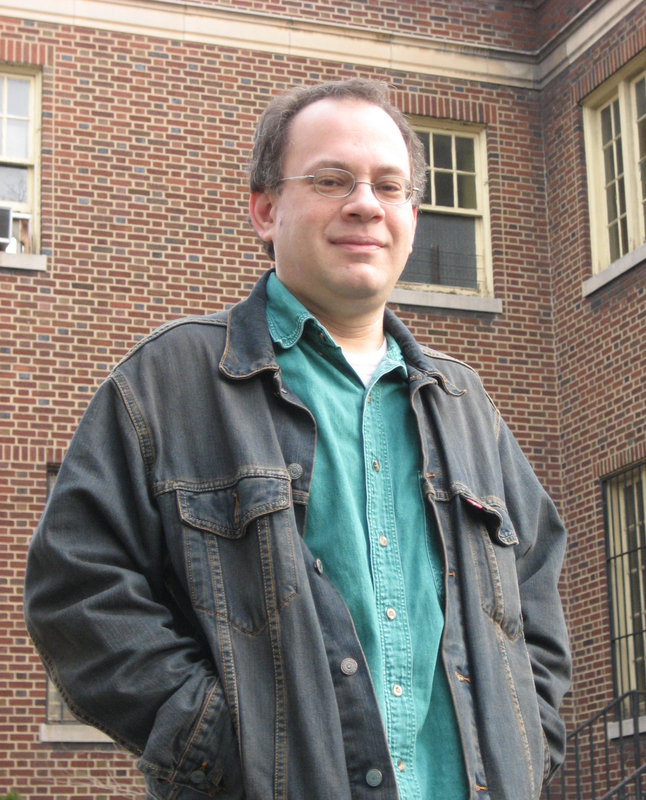 This is the sixth of a multi-part interview (conducted May 28) with Neil deMause, the Brooklyn-based co-author of the book Field of Schemes: How the Great Stadium Swindle Turns Public Money Into Private Profit, and writer of the companion web site. He testified at a 3/29/07 Congressional hearing that questioned taxpayer financing of stadiums, convention centers, and hotels. Q. In your book, you discuss the opposition movements to sports facilities in Detroit (the Tigers), in Cleveland (the Indians), and Seattle (the SuperSonics)--can you put in perspective the Atlantic Yards opposition movement? A. You have had so many different angles in Brooklyn, from the start; you’ve had the people who oppose it for eminent domain reasons because they’re opposed to eminent domain or they live there and don’t want their housing taken. You have the neighborhood folks who don’t want that kind of development. Since it’s this junction of several different neighborhoods, you have a bunch of different constituencies opposing it for different reasons, or some supporting it for different reasons. You have all the issues about spending tax money on a sports team. [They're] not building for a current New York City team, it’s a New York City area team, but it’s bringing a team to Brooklyn--there are people for that and opposed to it. A. It’s different than some other projects because there are a lot more moving pieces. In terms of the way they’ve done organizing, I think you’ve seen a lot of parallels to other places, you’ve got [them] talking about it in terms how the money’s spent, talking about it: is this a fair way for the government to be going about a big project and bulldozing things? I think one advantage the Brooklyn opposition had was [that] it was going into a fairly well-off area, or least bordering a fairly well-off area. You did not get major media coverage of Atlantic Yards until Jonathan Lethem and Steve Buscemi and all those folks started standing up and complaining about it. If they had had those people in the Bronx, I think it would’ve been a very different fight there. Or in Detroit. There’s a story in the book where Frank Rashid [of the Tiger Stadium Fan Club] talks about calling up the local newspaper to complain about something and the editor’s response, it was a factual error, was, Who are you to tell us this is a factual error, who are you, [Detroit Tigers owner] Mike Ilitch has done a lot of things for the city. He was. Well, I’m a constituent. Well, being a constituent doesn’t get you anywhere. Being an important constituent does. For better or worse, Steve Buscemi is a more important constituent than Dan Goldstein [of DDDB] is. And I think that’s a huge reason why it’s gotten some press coverage and some traction, it certainly helped with fundraising and for all these lawsuits that are holding it off. Bronx folks filed a lawsuit and lost one round, and they were done. Brooklyn folks have filed five or six lawsuits, and keep going back, with appeals, and they’ve managed to delay it, if nothing else. In this game, delay could be as good as winning, if the financing changes, and if the economy changes. Again, that’s what happened with the Jets stadium, it wound up losing not so much on the merits as because there was a lot of money opposed to it. I thought it was a terrible project and should’ve lost on the merits, but that wasn’t why it lost. A. I talk in the book about Fenway Park, and the folks who organized to save Fenway Park to prevent a new stadium from being built with tax money. They again had the advantage that, both among Red Sox fans, and in the neighborhood, you had people with not necessarily money but professional expertise. Again, here, the fact that [DDDB's] Candace Carponter has that whole pro bono legal team--in Boston, they had professional fundraisers and preservation experts, and people who could go to the Red Sox and say here’s how you can go for preseveration tax credits, and people who could spend 60 hours a week on this stuff, is hugely important. And the scary part is, that’s what it takes--and, in Boston, there also was this perfect moment in that the timing, that Tom Finneran, the Speaker [of the House] was opposed to putting a lot of state money into it, and the team happened to be sold to someone [John Henry] who liked Fenway, they brought in [architect] Janet Marie Smith, and she liked Fenway Park. It all just worked out right. ….They easily could have lost if they hadn’t had press conference four days before theirs about our plan to renovate the stadium… Everything broke their way and they will totally admit that. A. In Brooklyn, it could still go either way. But Brooklyn at least has a shot at stopping it. Again, in Brooklyn, the fact that it’s a deal with so many moving parts is both an advantage and disadvantage. It’s an advantage because it makes it hard to analyze the economics and argue with Andrew Zimbalist, it’s a disadvantage because, as we’ve seen, one piece can easily just fall off and then it’s hard to make the economics work. Did the IBO [Independent Budget Office] look at the housing piece? They didn’t. They just looked at the arena. They made an effort to look at the overall costs.... They said, as long as the arena's in the black, they can justify it. That’s before the city doubled it. I think if the city were just putting in $100 million, they very well could make it back in new tax revenue, because they’re shifting spending from New Jersey. Again, a lot of it depends on how many people are shifting from New Jersey. Andy [Zimbalist] used the Jets as a proxy [in his report], it’s not the same sport, it’s only played on Sundays. Football’s a regional sport… are people in New Jersey going to go to Brooklyn after work and then commute home? That’s a huge assumption Zimbalist [made]. A lot of the cost-benefit stuff relies on it. A. Y’know, one of the things that Ratner has done very poorly is, he got up in December 2003 at Borough Hall and brought in Gehry and said, OK, I’m doing this project and had a big rally, and he wasn’t ready to jump at that point. He had the team pretty soon after that, but he didn’t work out everything behind the scenes. Q. It seemed like he worked out a lot. Q. He’s got a pretty serious list of lobbyists. A. I’m not sure why the MOU took so long. Q. From reading the book, I think the Nets have made a smart decisions, or clever--they are selling 2000 screecher seats for $15 and even though they’re going to various corporate companies as sponsors, they’re trying to get some local sponsorships and multiple food suppliers. A. That’ll often happen, that they’ll deal in local food companies to be part of the concessions, both because it’s good for drumming up support, and also because the fans like it. It feels cool and hip and local and you know what city you’re in. The screecher seats, have they committed to how long they’re going to do it? Have they made a commitment-- is it anywhere in writing how long they’re going to keep screecher seats and at what level? I totally can see them doing that, but what’s going to happen down the road? Is it going to stay 2000 seats? Is it going to stay at that rough [price] level? What if they switch to variable pricing, and they charge more for the hot teams and weekend games. At what point is, yeah, you can get it for $15 but only on alternate Tuesdays? I have no idea what they’re going to do. But clearly, this was a way of saying: it’s not all for the rich, you’ll still be able to get tickets. I credit them for that if they’re going to be asking for public money, they should at least have some sort of discounted seats, so people who live in Brooklyn can afford to go to the games. If that’s part of the justification for the deal, it should be in the MOU. deMause missed the underlying angle that energized the opposition—the political corruption and subversion of democratic practices.